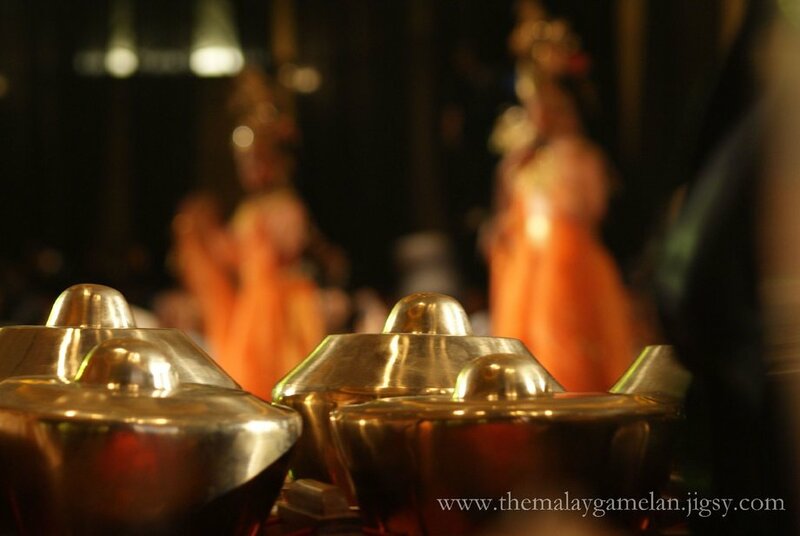 The Malay gamelan has distinct characteristics, established by the refined music structure and the use of slendro pentatonic scale, comprising five notes. The basic melody is played on metallophones called saron kecil and saron besar. The melody is further elaborated on a wooden xylophone called gambang, together with keromong, a set of small kettle gongs. Background accompaniment is provided by larger kettle gongs called kenong and a pair of hanging gongs. The beat is supplied by a Malay barrel drum called gendang.